Thanks for letting us stick our flag on your house! Transgender Day of Remembrance, or TDOR, is quite possibly the most powerful day in the Transgender Calendar. November 20th has, for the past 16 years, been a time for our community to come together to remember those we’ve lost due to acts of anti-trans violence. 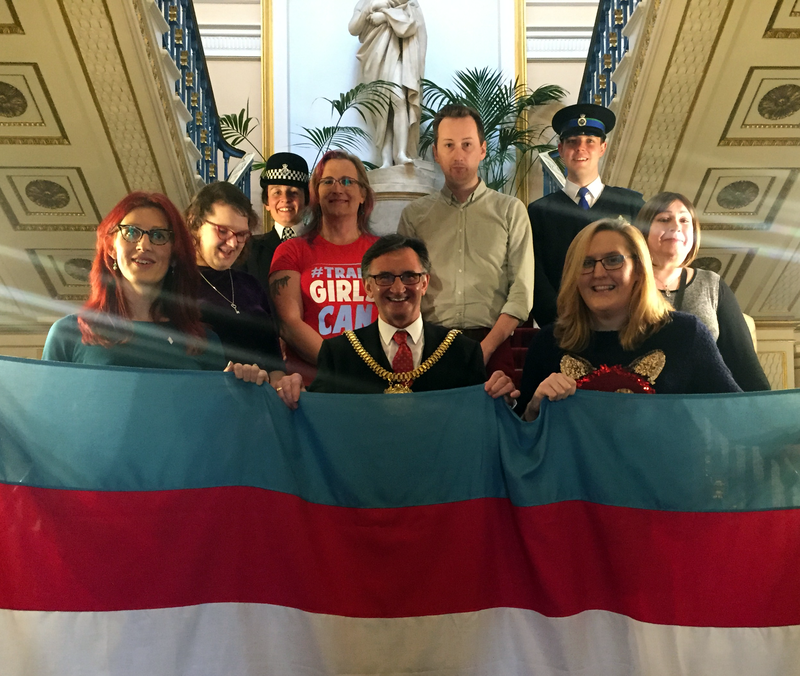 To mark the occasion, a group of us were invited to Liverpool Town Hall to meet Lord Mayor Tony Concepcion, who has one of the most rock and roll names available, for tea, biscuits, and a natter about all things trans. 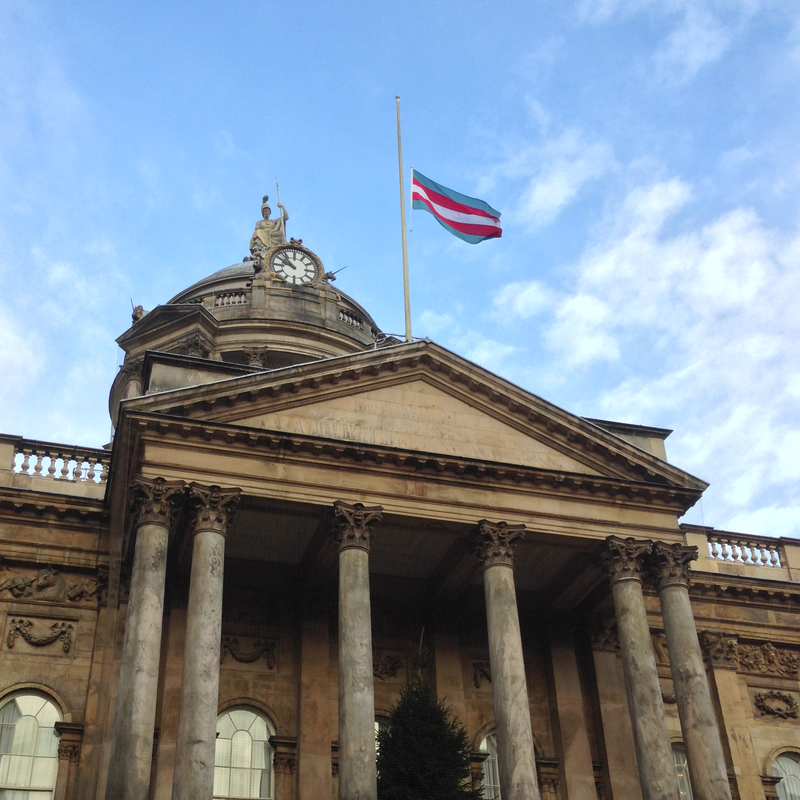 Arriving at the Town Hall was an emotional sight for many of us, as the Transgender Pride flag was being flown at half-mast to mark our period of mourning. This is a big deal, not just for us as individuals, but for the wider visibility of our community, and the education of the general public. For a meeting which was scheduled to last for 30 minutes, it felt like an awful lot longer, because it was. After a quick photo session, we were invited to sit down with the Lord Mayor to discuss Transgender Day of Remembrance, and our personal experiences with being Trans in Liverpool. Joining me around the room were Alexandria Adamson, Sophie Green, Thom Shannon, Vikki-Marie Gaynor and Christine Beckett; representing Merseyside police were Stephen Rotherham, and Tracy O’Hara. The discussion itself was varied and ranged from TDOR itself, to Trans-Visibility on the whole. We talked about how and why we remember those who have fallen victim to hate crime, to which Tracy and Stephen were able to caveat with recent incidents which have occurred on the outskirts of Liverpool, and how they have been able to use these incidents, especially when they’ve been picked up by the media, to shine a light on the dangers, discrimination, and humiliation faced by Trans men and women on an almost daily basis. We spent time discussing the hardships faced when transitioning at work, where Vikki was able to recount her experiences working within the Logistics Industry, and how far behind they were in both understanding and empathising with us, as the environments typically harboured within these companies are somewhat misogynistic. As such, it is not an uncommon occurrence for Vikki to experience misgendering, harmful comments, and a seemingly complete lack of both representation and protection in the workplace from harassment and bullying, policies which should be in place, but are not adhered to. Pictured with the new Transgender Pride Flag, purchased by the Museum of Liverpool. The first Transgender Pride flag was purchased by members of the trans community last year and is now part of the Museums of Liverpool’s archive. I was fortunate enough to steal a few words to express my gratitude to Liverpool as a city, as I had felt that my real transition didn’t really start until I arrived here back at the end of September. Both living and working in the city have afforded me a great deal of confidence, happiness, and pride that even though I’ve only been here a little over a month, there’s no place I’d rather live. Another subject we were able to discuss, and was actually raised by the Lord Mayor himself, was the strength we must have in order to change our lives so drastically. This is something both Vikki and I were able to address how this “strength” is only perceived as strength by others, as people compare transition to their own lives, and what it would take for them to make such drastic changes, whereas for us, the one’s dealing with gender dysphoria, we largely see transition as a last resort, and commonly preceded by attempts on our own lives, where suicide seems like the only option, its presence is rife within our small community. However, 2015 seemingly being “The Year of Trans”, we were also able to discuss how visibility has allowed huge strides forward this year, strides that look as though they will continue on to 2016 and beyond. 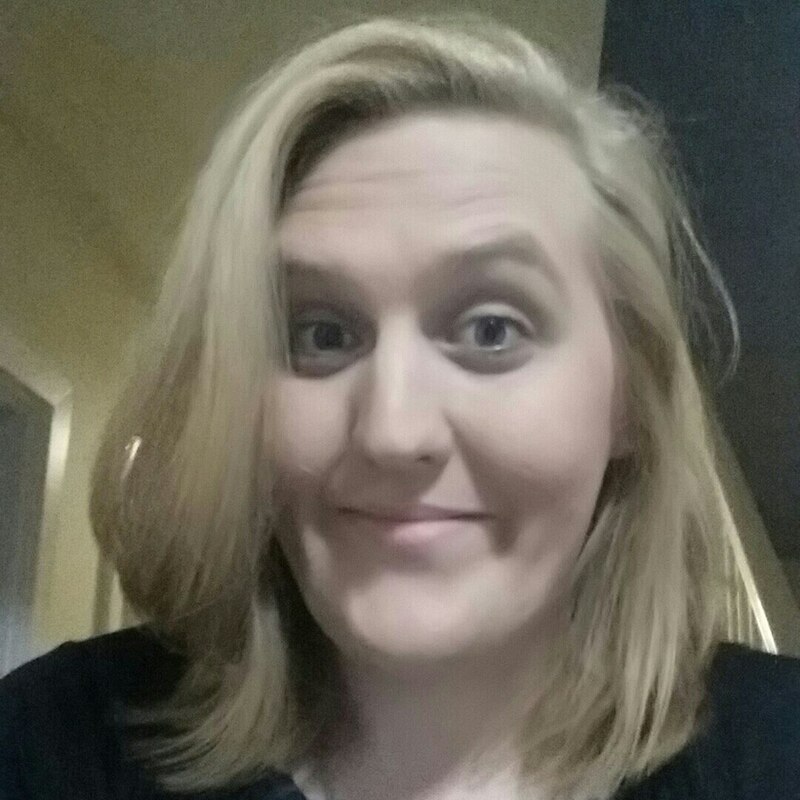 Sophie was able to highlight how the formation of All About Trans has been able to steer the media’s representation and language around transgender individuals more positively, and has promoted the use of trans-actors and actresses being used when portraying transgender characters. Also, how exposure on screen through TV shows such as Boy Meets Girl, and characters on major soaps Eastenders and Hollyoaks will only further promote the use of trans people in the future. Finally, Alexandria was able to further Sophie’s comments by highlighting initial inability to hire trans actors and actresses, something which is still a current issue with regards to stage acting, as “there are none”. Which, obviously, turned out not the be the case, as we’re now being introduced to some truly great talents coming through, which is likely to make the coming year, and those beyond, more and more trans-positive. We’re still a long way from where we should be, but at least now we’re on the right path, and it’s well lit, all we have to do is keep moving forward. Visit the Liverpool #TDOR Event page to get more information on the events happening in Liverpool. 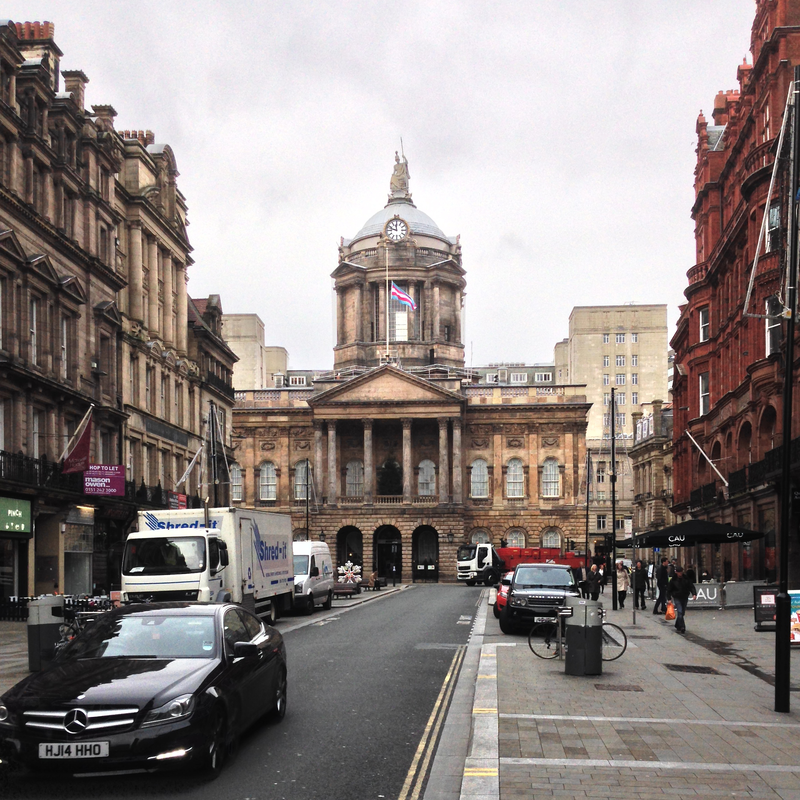 This entry was posted in Uncategorised and tagged all about trans, Liverpool, lord mayor, TDOR, tdor2015, town hall, transgender day of remembrance. Bookmark the permalink.